My first attempt at pao making failed terribly. Didn’t manage to get rid of the smell of the yeast (yuck) and I didn’t use bleached flour so my pao was a horrible shade of… brown. Never attempted it again since I can get decent paos at such a cheap price anyway. I’m actually pretty happy with any kind of pao really. I like both the fluffy bao skin and the filling, so a disproportionate ratio is fine by me. But if you are the type who likes a thinner skin, give this place a try. 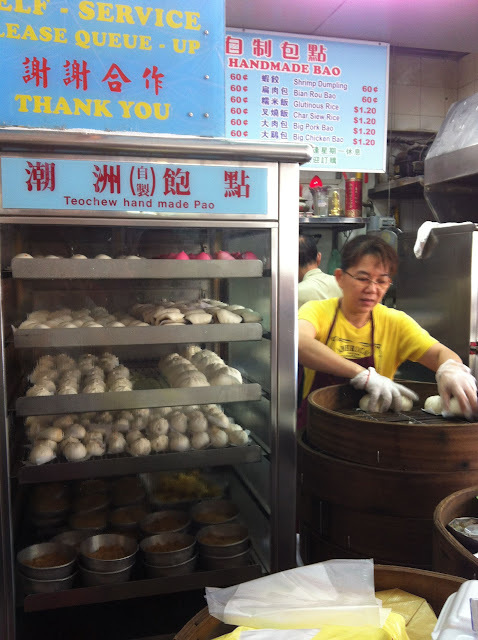 It’s located within Toa payoh Food Centre, within the same estate as Creamier. They sell mini paos and be careful when you are ordering cuz they aren’t super cheap! One costs 60 cents and they are smaller than your palm hehe. I still like it though because it means I can get more variety for the same amount of stomach space (first world problems…). Plus, everything is handmade on the spot. No machines! In terms of flavour the paos are not out-of-this-world but they are very decent. 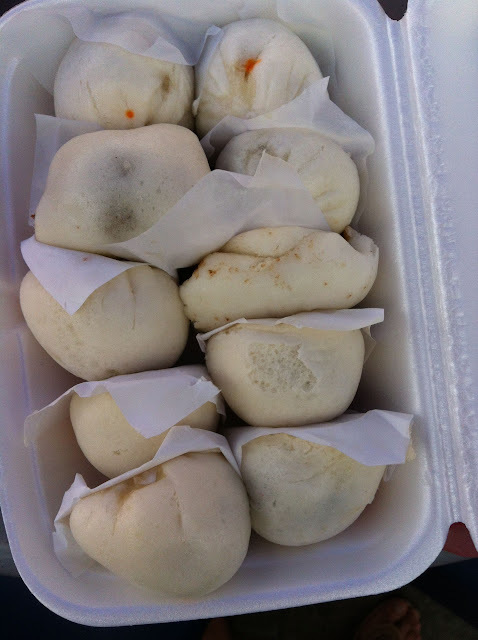 Their dao sa (red bean) bao is something I would buy in bulk next time. 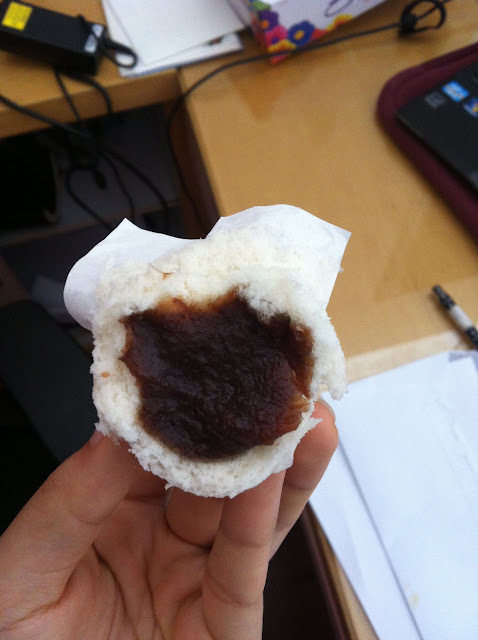 A huge blob of dao sa with a thin, fluffy bao skin. Yum!